Whether you are looking for a comprehensive reporting tool to showcase the work done for your clients, or you are an in-house SEO specialist searching for a tool that can map your different group sites on essential parameters, an SEO report that can be auto-generated is now becoming mainstream. Clients usually do not get the nitty-gritty of SEO, and you would bore them to death elaborating on the funnel drop-off insights that you recently stumbled upon. A report is the best way to explain different aspects briefly and use it as an opportunity to up-sell areas of weakness that you haven’t been contracted to work on. But the more significant business advantage is when how SEO audit tool vendors show how they generate leads for businesses at a rate that puts current conversion figures to shame. In fact, Martech Today says spending for marketing automation tools will touch $25.1 billion annually by 2023, and the SEO audit report falls under this bracket. But what if you could take the branding off your vendor, and add yours? That way, your clients would be able to get the same report generated under your agency name, rather than from the automation vendor. This is called white labeling. Let’s dive into how you could leverage this tactic of a white label SEO report to expand your business significantly. Fortune always favors the brave, as they say, and innovators who try out new tools and techniques usually stand to gain the most. 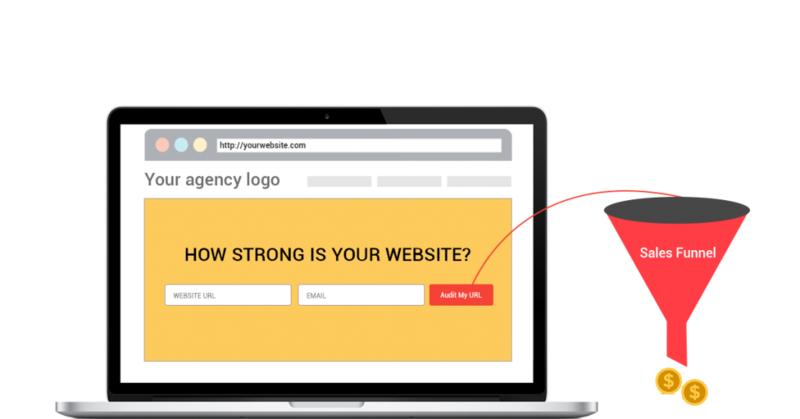 A website audit tool for free that you place at multiple locations across your web pages will definitely arouse the curiosity of your audience. The audience would be a mix of current and potential customers, the former being more comfortable to convert since you could proactively email them a chance to test the tool. Not only are you offering a report for free, but you are offering them the chance to generate them multiple times a day, what with Google changing its algorithms frequently, along with the market’s shifting nature. Studies by LinkedIn shows how 80% of marketers use marketing automation software to generate more leads. By offering value, what you are looking in exchange is their primary contact details to send a mail describing how your services could benefit their SEO efforts. A study by Demand Gen Report shows that users review 3-5 pieces of a firm’s native content to develop a level of confidence before they reach out to engage for the site’s services. And this does not just blog content. But while content marketing is essential, the end consumer is inundated with hundreds of emails and whitepaper notifications every day. The lead generation mechanism using content as a medium hits a ceiling at some point. What if you could offset marginal results using the strategy of lead gen through white label SEO reporting, and position yourself differently through a space that is still currently new? Bypass the content marketing battle and deliver the genuine site and SEO performance metrics using a report which your customers wouldn’t think twice opting in for. A recent survey shows how 57% of B2B marketers feel SEO generates the most leads, ahead of other marketing tactics. For a white label SEO report product offered to your audience, you are offering and leveraging the best of both worlds: a free tool to analyze their SEO success rate, and the opportunity to capture filtered leads that will increase your conversion rates. The significant chunk of leads that digital marketing veterans like Neil Patel receive through their SEO auditing tools is widely known, but how you position and sell it on your website plays an important role as well. Throughout your website, be it above the navigation bar, or by having in-story interstitials persuading audiences to avail this feature which seems almost unreal being offered for free, draw parallels between the content and a problem statement your potential customer could be facing. 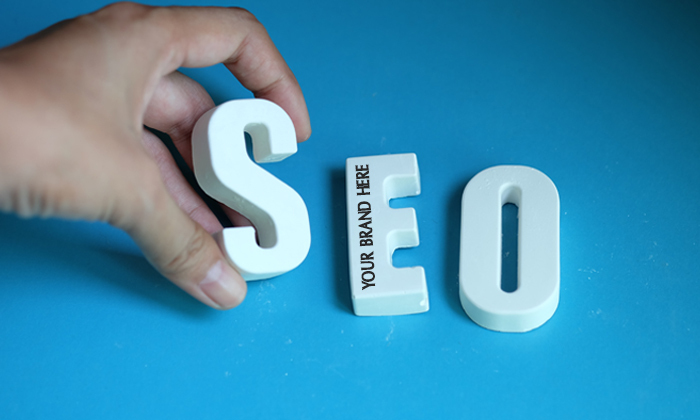 Unless search engine optimization isn’t one of your main offerings, growing your business in the tightly fought digital marketing space must surely endear you to the SEO report. 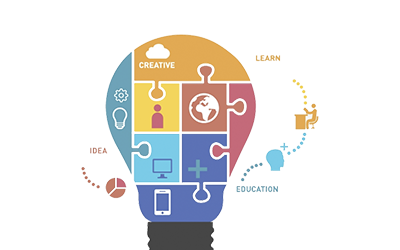 In fact, it might have set your mind thinking of how to leverage it across your different sales campaigns running. Growing your business could enter a new phase if you identified the problem, but happened to be competent at addressing them as well. What if you promised prospects to review their website as soon as they shared their website details with you through the mandatory contact form, and respond with a customized report within 2-hours of the process initiation? Perhaps, offer a week of consulting at no charge to fix the top two weaknesses of the website that the report brings out. Efficiency of sales teams takes a hit when they have to sift through numerous leads to identify a few which will land the company real business opportunity. Let’s call the latter “qualified leads”. With the white label SEO report, most of the engaged prospects would either be serving their set of clients or looking to understand the state of how friendly their website is, according to Google’s search engine parameters. Not only does a report make the process more feasible to capture leads and go after them, but it also creates a level of trust among potential customers, who would be assured that being able to automatically generate a report would mean the company knows a thing or two about optimizing web SEO. Those are additional brownie points to ensure an increase in engagement and eventual conversions. The ‘automation’ moment has genuinely reached the world of marketing and lead generation. 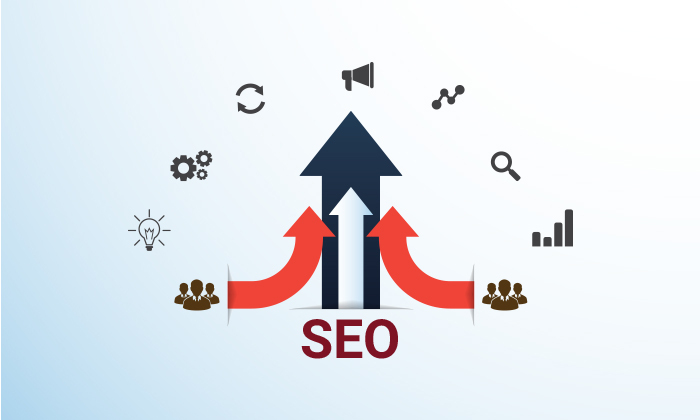 Today, powerful computing coupled with intelligent analysis has made crawling a website on SEO parameters, matching them to analyze their SEO proficiency and generating visually appealing reports, realities for the wider market. With content marketing now being so pervasive that it only delivers diminishing marginal returns, marketing can take a leaf out of the tech startup’s books, by using features like the white label SEO report to disrupt the industry and make it more effective and customer-driven. Our RoboAuditor tool is a comprehensive package that scans your website for 70+ factors, generates reports instantly, and gives you the option to position the tool as your own if you provide SEO services to clients. Reach out to us, and we will connect to gauge your requirements. RoboAuditor is an Embeddable SEO Audit tool which generates 4X more leads with the traffic you already have. Why Is White Label Seo Audit The Most Trending Thing Now? A small business owner understands the importance of digital presence and invested a lot of time and money in building a fantastic bakery website. Good content and Jaw-dropping images, Design, User-friendly navigation. However, she quickly realizes that her website does not feature in the first or second page of the search engine even if someone searches for a bakery in her area. When she explains this to her friend over a cup of coffee, she suggested her to look for a digital marketing agency to optimize her website and make it search engine-friendly. Now the bakery owner started looks for digital marketing agencies in her area and almost everyone promises to optimize her website. The business owner was looking for someone who can tell her the issues in the website upfront. Unable to differentiate between agencies, she eventually chooses the first agency that she finds on the Internet. As a digital marketing agency, you must be aware that people are realizing the importance of having an optimized website. They understand that Search Engine Optimization (SEO) is a technical and long-term exercise that requires the attention of a digital marketing agency or an SEO expert. That’s why they do not hesitate to hire a digital marketing agency to help them in their endeavor of improving their ranking and growing the business. This in a way spells good news for you as you can leverage this opportunity and become one of the most sought-after digital marketing agencies in this booming industry. Every business would want to know their site’s performance and understand how it can be improved. While other digital agencies ask business owners to pay a small fee upfront and take over a week to analyze the website, you can do it for them free of cost using white label SEO Audit Tools. You can even give them the power to analyze their website themselves and receive a report almost immediately. This makes it a reliable and trustworthy tool. Why Are White Label SEO Audit Tools So Popular? White label SEO Audit Tools is getting a strong foothold in the digital marketing industry and there are two primary reasons for it. Let’s take an example of a Hyderabad-based digital marketing agency called Fractional CMO that offers digital marketing services to SaaS, Manufacturing and Real Estate companies. Fractional CMO was highly dependent on different lead channels such as eBooks, whitepapers, and blogs to generate leads. The entire exercise proved to be time-consuming and cost-intensive for them. Fractional CMO signed up for a free trial version of RoboAuditor, a white label SEO tool and added it to their website (screenshot is given below). So, whoever visited their website had the option to analyze their website for free instead of paying $500. Within one week of embedding the white label code, Fractional CMO was able to see an increase in qualified leads by 2x times. As of today, Fractional CMO has been able to increase their leads by 400% and reduce the marketing spend by 75% by using white label SEO. And Fractional CMO is not the only digital marketing agency to have benefited from it. Even HubSpot, the 5th ranking website in the online marketing space has successfully used a tool called Website Grader as one of the methods to generate leads for their website. This is precisely what makes white label SEO tools so popular. So, your website visitor has received a detailed report on the improvements they can make to their website. Do you think they will implement it? Neil Patel believes they wouldn’t. 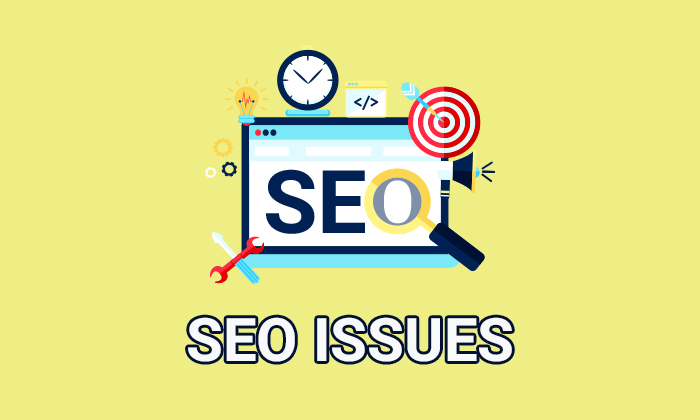 In his article ‘How I Built a 7 Figure SEO Agency’, Neil Patel suggests that the visitor will most likely ask you to fix the issues found on their website because they would rather trust your sensibilities to fix the problem than spending their time and resources on it. If you were a business owner, you would ask the digital agency to fix it, won’t you? So, you see, by using white label SEO and sending the website health report in advance, you will be able to win the trust of the visitor and eventually convert them into a client. Selecting the right white label SEO audit tool is essential from your business growth perspective, because if the tool is below par and misleading, then there is a chance that your website visitors might not trust your business at all. However, with RoboAuditor by your side, you need not to worry about it. Here are a few reasons that make RoboAuditor a perfect partner for your business. Easy to use: Growth Robotics’ RoboAuditor, is a ready-to-use tool that can be used by a non-technical person too. All you need to do is, embed the code to your website and you are ready! White label reports: A lot of white label SEO tool developers do not offer the option to publish white label reports. This can be a disadvantage for those who want the reports to be sent under their name. RoboAuditor offers white label reports that give you the complete freedom to use your brand on the report. Integration: Integration with various tools enables you to offer value-add service to the client. RoboAuditor offers integration with MailChimp, WordPress Plugin, HubSpot CRM, Chrome Extensions and much more. Customization: All of us love customization. Customized white label reports will help you offer unique services to your customer. RoboAuditor offers customizations such as reports in multiple languages and empowers you to choose what you want to display in the report. White label SEO audit tool is worth an investment to generate good quality leads at a minimal cost. If you are toying with the idea of trying it out, then do not hesitate to contact us. We are always ready to help :). A few days ago, Neil Patel, the co-founder of Crazy Egg and Kissmetrics and a well-known marketing blogger spoke about how blogging has helped him get leads for his company Crazy Egg and mold himself into a personal brand. Tom Dupuis is an SEO expert who regularly writes tutorials about WordPress plugins and Siteground hosting in his blogs. He generates $7000 every month through his blog. Over 1,500 people read his tutorials every day!. There are over *hold your breath* 84.6 million blog posts every month on WordPress, and let this sink in…WordPress is just one of the many popular platforms used by the bloggers to write blogs. A survey conducted by ConvertKit last year showed that the net income earned by not-yet-pro bloggers in 2017 was around $9,497 and that earned by pro bloggers was around $138,064. According to HubSpot, companies that blog receive 55% more traffic, and 434% indexed pages than the ones that don’t. Do you see the impact? Blogging has come a long way from being a platform to share personal opinions to become an income generator. And going by the trend, it looks like blogging will continue to dominate the space for the years to come. So, what makes blogging so popular? Blogs are informative: From generic blogs on fashion to niche blogs on Artificial Intelligence and data science, blogs have replaced traditional media to become a credible source of information. Blogs help in networking with like-minded people: Blogging is an excellent platform to interact with people belonging to your niche and exchanging ideas, and thoughts about the trends in the industry. It can also serve as a platform to build a close-knit community to help and collaborate with each other. Blogs can get traffic to your website: According to HubSpot, there are four stages of converting a stranger into a customer or promoter of your business – attract, convert, close and delight. The first step, which attracts, involves writing blogs to create awareness about what you do and to drive traffic to your website. The eventual steps will ensue once you attract and engage the visitors with your blogs. Blogs establish you as a thought leader in the industry: When you write detailed, informative blog posts related to your expertise, you automatically become a thought leader. It also opens up new avenues for other sources of income. For example, you can do e-learning courses, conduct podcasts, take guest lectures, or even write a book using nuggets from your blog! So, if you are contemplating to quit your job and blog full-time, then sure, go ahead. However, before you hit that send button on your resignation letter, read ahead to know how you can monetize your blog to make it your full-time job. Because blogging requires as much planning as other businesses. The good part of blogging as we said before is you can write on a topic of your interest. However, if you are planning to make it into a business, then you have to pick a niche that you can write about confidently. It can be about marketing, about startups, about being a new mom, the list goes on. Introspect about what you love to write about and start blogging. The first milestone of a successful blog is when you get your first 1,000 visitors. To be able to monetize your blog, you have to show that your blog receives enough traffic to be considered for business collaboration. Now, getting the first 1,000 visitors to the blog can be quite a challenge. There are so many blogs related to your niche, published on a daily basis. So, grabbing the attention of your readers is going to be a herculean task. However, we have some easy tips to help you fix that. Boost your blog posts: Once you have started your blog and written an amazing blog post, remember to share it with your target readers. The first obvious way is to share on social media platforms such as Facebook, Twitter, and LinkedIn. The glitch here is the post will be seen by your family, friends, followers, and acquaintances only. No matter how many people share your blog, you are not likely to reach your target readers. That’s when you need to resort to paid promotion. Facebook, Twitter, and LinkedIn enable you to add money, segment your target audience according to demography, interests, hobbies etc and promote your post. The laser-sharp segmentation will help you reach the right audience and get the right type of visitors you want to your blog. Once the pattern of promoting blogs become consistent, it becomes easier to get consistent followers. Push notifications: So, your target reader has reached your blog, read it, shared it and went away. How do you re-engage with them when you publish the next blog? The answer is to push notification. Push notifications are a great way to ensure that your reader is aware of the latest updates in your blog. Embedding a push notification code in your blog is easy. 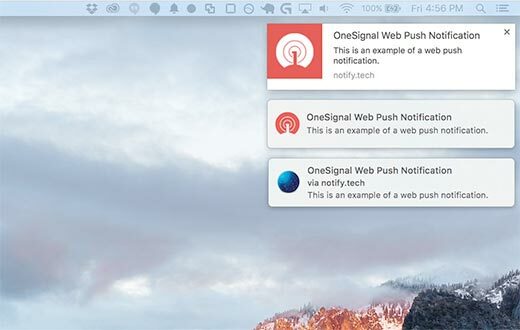 If you have a blog on WordPress, you can use a plugin such as one signal to send push notifications to people. The challenge is to ensure that readers click on the ‘Allow notification’ option. This can be resolved by directing the readers to one of your best blogs. If the blog manages to engross them, then they will be willing to click on the allow notification option. This is the second step of the inbound marketing strategy. Once your visitors start engaging with your content, it’s time to convert them into avid followers of your blog. There are multiple ways to do it. The most common method used is the subscribe to email option. Yes, that static form where people enter their details to subscribe to your blog. In most cases, your visitors might choose not to fill in the form and rather read it whenever you share it on the social media platforms. 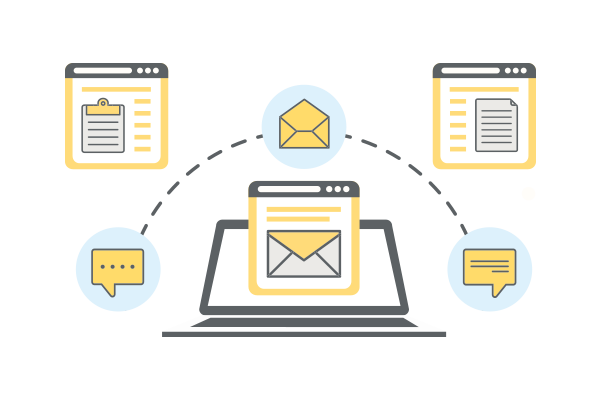 Now, email is a crucial way to connect with your subscriber and inform them of any new initiatives that you begin in the future. 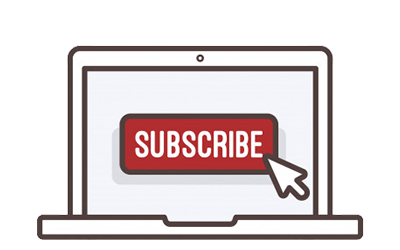 Without subscriber database, it can get difficult for you to track your subscribers and inform them of your initiatives. So, the other way to get subscribers is by using interactive forms. Interactive forms: In one of our previous blogs titled ‘Are Contact Forms Dead?’, we wrote about how a survey by Formstack showed that only 3% of the website visitors fill the static forms. 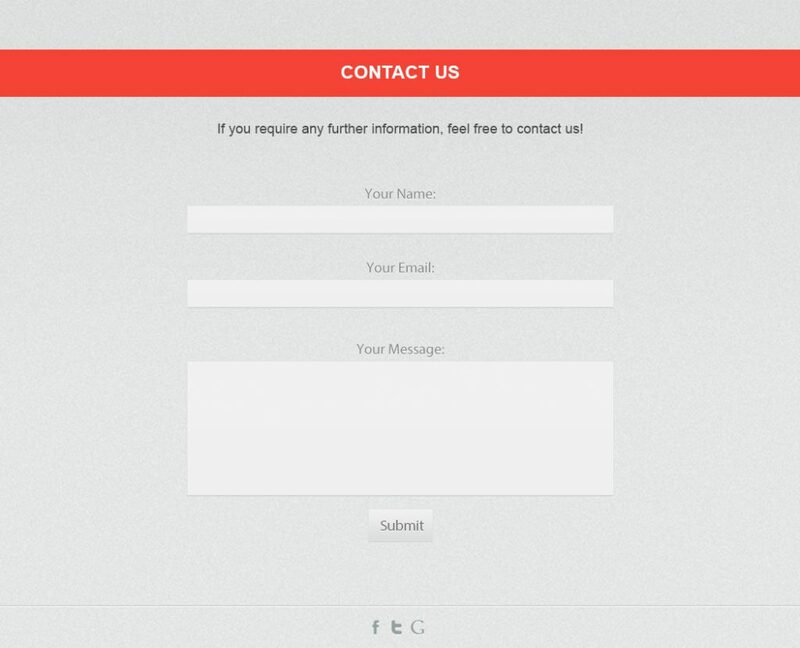 Users usually avoid static form because of the one-way communication and its intrusive format. Interactive forms, on the other hand, are fun to fill up and keeps the user engaged on the website for more time. It also provides value to the user as it can provide a solution to a certain problem of the user. Your interactive forms can vary according to the theme of your blog. For example, we, at Growth Robotics, provide white label SEO tool called RoboAuditor which you can embed in your blog with a simple code. When a visitor reaches your blog and realizes that there is an option to check the performance of their website, they will be encouraged to enter their email id for a detailed report. Once the RoboAuditor receives the email id, an automated email with the health report of the website will be sent to them within minutes, and you will have a new e-mail ID added to your database. If your niche lies in writing marketing blogs, this could be a non-intrusive, and unique way of getting subscribers and even leads. That’s exactly how Neil Patel was able to generate leads for his business. Do you know how Tom Luipuis generates $7,000 through blogging? He writes detailed tutorials on WordPress plugins such as Yoast and SiteGround Hosting and that earns him revenue from those companies. Affiliate marketing is a way of earning a commission on each product sold by a company by promoting it on your blog. People buy products when it is recommended by someone they trust or know personally. So, once you have achieved the first 1000 visitors, you can monetize your blog by using affiliate marketing. Affiliate marketing can be done in various ways – you can write tutorials about how to use the product or review it. While affiliate marketing has become a popular way of earning passive income, we recommend that you approach only those companies that are aligned with your niche. Also, as a thumb rule ensure that you do not indulge in false advertising and promote the products subtly. Overt affiliate marketing can break the trust of your visitors, whom you earned with great difficulty. So, be careful of the thin line between promoting a product and not sounding spammy. Want to make an extra income besides blogging? The easiest way is to expand your expertise to freelance with organizations in your niche. 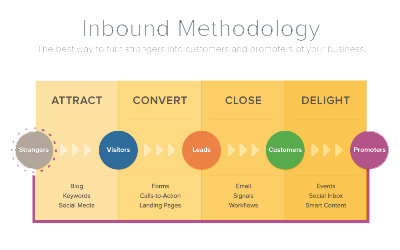 HubSpot inbound methodology of Attract, Convert, Close, Delight is not only beneficial for companies but freelancers too. Your target clients need to be aware of your expertise. The best way to do it is by blogging about your area of expertise and promoting it on networking sites such as LinkedIn and Facebook. Blogging can be a great way to find clients and generate income by acquiring new projects. To ensure that your target client is invested in your blogs, you can send them an invitation to follow your blog and take it forward by collaborating on new projects. Start a blog: That’s the first step you must take. Choose the right blogging platform, a basic theme to begin with, and a unique name for your blog. Write consistently: No matter what strategies you apply to monetize your blog, it will fail if you do not write blogs consistently. If time is a constraint, stick to writing one blog every week. But, stick to a schedule and write diligently. Regular blogging will also help you in ranking your blog on the top. Respond to your followers: Neil Patel says that the best way to engage with your readers is to respond to their comments on your blog. Be proactive in responding to your reader’s comments. This will encourage them to follow your blog and engage with it further. Avoid getting involved in unnecessary arguments and furnish facts wherever possible to prove your point. This will help you gain respect among the blogger community. We hope you found these tips useful. If you have any questions about blogging, please leave your concerns in our comment section below. We will be happy to answer your questions. Planning to embed RoboAuditor on your website? Please contact us at <support@growthrobotics.com>, and we will help you with the process. According to a recent survey, 83% of agencies believe digital marketing to be one of the fastest changing industries in the present era because of its association with the rapidly evolving online world. Technology comes and goes, and it’s not just a matter of sites that emerges and vanishes. However, 91% of business owners believe that the growth highly depends on the way people interact online, the software they use, the devices in use, and many more. Why Is It Considered to be the Top Challenge? According to recent research conducted by the Hubspot Inbound report, 63% of the world’s best digital agencies strongly agree that lead generation is the most onerous task on their hand. Does that mean, Agencies are unable to eat their own dog food? Absolutely NO. Every industry has its challenges and so is with digital agencies. 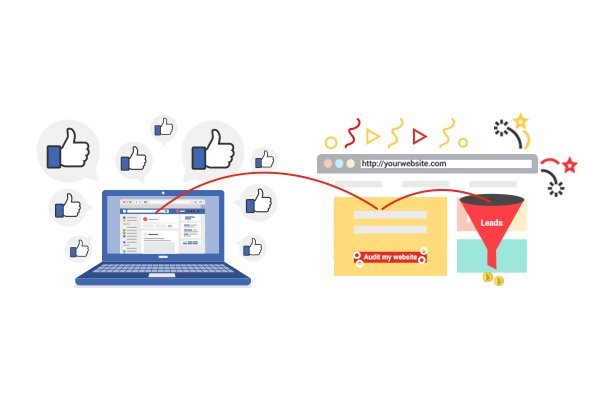 Clearly, all marketers can generate traffic for their website through blogs, social media, link building related activities but converting traffic to leads is the biggest problem. Let’s get a little deeper now and understand how is it done till now? The most common method which is by default on every website is “CONTACT US FORM”. But it may come out as a big shock for most marketers that only 2.5% of users visiting the website fill up the static signup form. This clearly shows that the website visitors don’t feel that contact us forms are worth filling. The second most common practice for generating leads is through ebooks and white papers. But there are two significant issues surrounding ebooks and white papers. Identifying the topic of eBook brings marketers back to square one. Every year 600,000 to 1,000,000 books are published every year in the US alone and counting the number of the eBook being published across the globe is way too huge to count. In a nutshell, it won’t be wrong to say that there exist far too many eBooks on the internet to find a fresh topic and write an exciting eBook for the world to read. A recent survey by HubSpot proves this, wherein the interest in the ebooks and white papers have been reduced to just single digits. The topic is not the only constraint that stops the marketers from publishing the eBooks; finances is the other constraint that prevents them. Publishing an eBook is expensive. 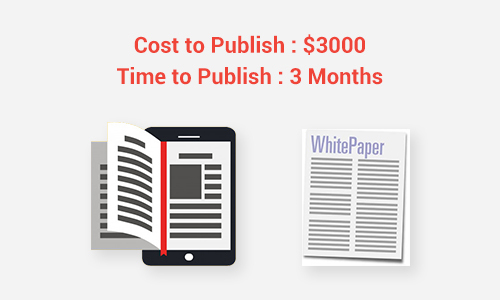 It costs you around $3000 to make the ebook publish-ready. And compared to the biggies of the industry, even if a newly established business publishes an eBook there exist only 0.3% chances that people will take notice of it. 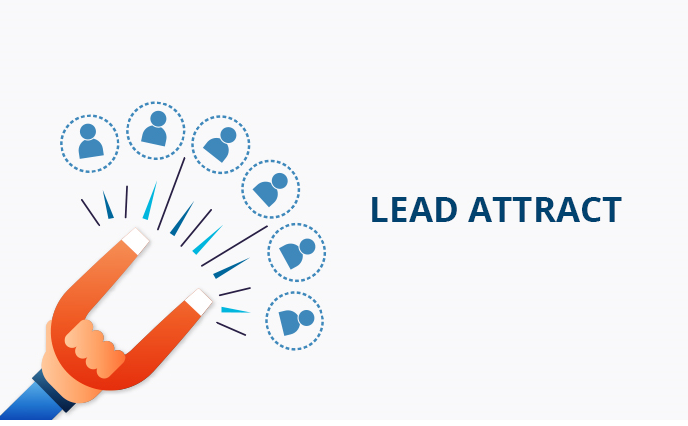 In place of following these boisterous paths to look for the ways of turning traffic to leads, you can use the interactive tools which your prospects would love. Growth Robotics’ RoboAuditor is a tool which your prospects would love. RoboAuditor is an embeddable white label SEO Audit tool which can be put on any website within a few minutes. Its same as the Hubspot’s Website grader which you can have on your website:). Growth Robotics helps marketers in finding the solution to the most crucial and important question that all marketers face, the problem of generating leads at a reasonable cost with minimal effort. Why It’s considered as a Challenge? 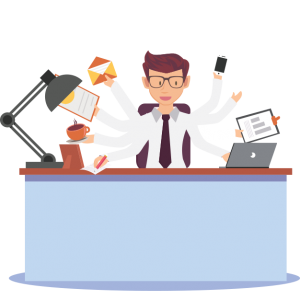 According to a recent survey by Hubspot 43%, marketers feel, with so many responsibilities hanging on their heads, they lose focus on administrative tasks such as, staffing plans, new business investments, onboarding, etc. Though not the top challenge but 14% digital marketers say that recruiting talent is the biggest challenge standing in the face of their business, though it has fallen to half compared to the preceding year. Getting lesser and lesser time to focus on administrative tasks like staffing plans, finding the ‘right fit’ employee, new business investments stop the digital agencies from discovering the new clients, creating the perfect recipe for stagnation. Make time slots and use various assessment tools that can help in finding the best fit employee for your company. Use marketing automation software for automating the team’s marketing efforts in some form or another. According to 40% of marketers, marketing automation is a must-have for the upcoming year. 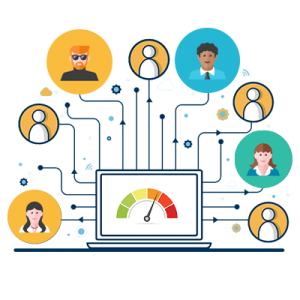 The various assessment tool can help in evaluating your team and distinguish between the employees from the one who needs recognition and who needs coaching. For new talents recruitment, employers should look for marketers with a diverse skill set, including content marketing, digital marketing, social media marketing, and SEO. The employers should be clear on the tasks and responsibilities to be entrusted to the new employee. Almost 26% of agencies believe that managing a website is the biggest challenge they face. With the agencies focusing on inbound marketing, it came entirely as a shock that the sites are generating only 18% leads. Sites are the backend Editor assets that work as your personally trained salesperson working round the clock, drawing visitors, converting them to lead, hence eventually helping you hit your goal. 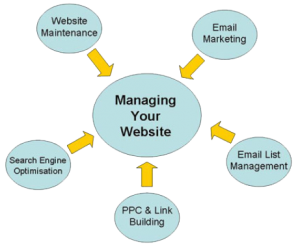 The issues related to website management comprises a vast list depending on various factors ranging from beautifully designed website and web pages to writing and optimizing the content. With over a billion websites available on the internet, no-one will give a second thought to a site that is not well maintained. 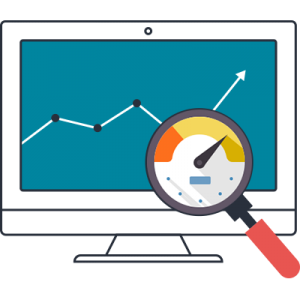 It is an essential step to analyze the health of the website, and a thoroughly analyzed SEO audit report can help in realizing the drawbacks and shortcoming of the website. It also includes an in-depth analysis focusing on the four most demanding necessities, design, and performance of the site, its loading time, security of the website and its mobile-friendliness with the SEO. If your foremost problem while managing a website has anything to do with the skills and resources available at your disposal, then be assured that you are not alone in this. This is the most fundamental problem that all start-ups, as well as newly growing companies, face. The most basic solution is to hire freelancers or get services from some agency partners. A well integrated and managed website always attracts the attention of the audience enticing them to turn from traffic to lead. Though there are many auditing tools available online but for a swift check you can try out your hands on RoboAuditor. The easy to use RoboAuditor works as the one-stop destination to all your digital agency problems. Generating leads from SEO isn’t as easy as it seems to be and requires a fair amount of dedication on your end. A business that thinks about their audiences first and takes proper steps to improve the value of their service will indubitably rise on the scales on all digital marketing channels. And the best way to take care of your audiences is by offering them what they crave the most, offer them the gift of their website health. 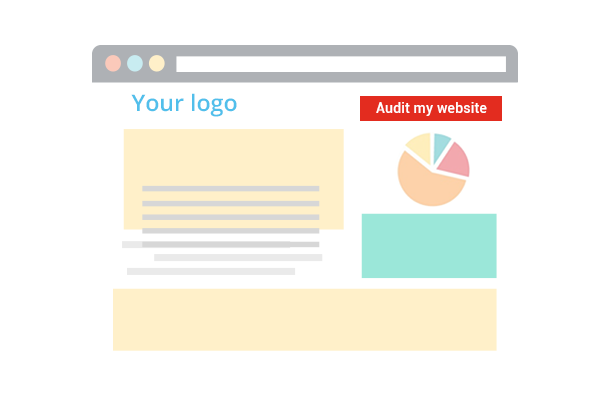 Try RoboAuditor for free before letting your audiences know how important their websites’ health is. Every Marketer should ask this question to himself every day till you get the answer. Is there something interesting available on your website which will give people a reason to keeping coming back to your site. As John Mueller says, adding appropriate keywords onto the title tags or improving bad inbound links are all very important but ‘short-term thinking’ but the larger goal: driving business by converting visitors to leads and convert leads to sales. Sadly, Most of the websites don’t have a lead magnet. However, marketers who have cracked the above puzzle, have generated hundreds and thousands of visitors leading to a very high visitor to conversion ratio. Don’t believe it? Let’s look at some of the very prominent examples. Mozbar from Moz is a popular chrome extension (insufficient results though) provided for free to its visitors, and it is a top lead generation engine for years. Website Grader from Hubspot is a free website grading tool and has been a very crucial source of lead generation for almost a decade and is still the top lead gen source for HubSpot. Wouldn’t you love to have something similar on your website and how to generate more leads like them? Of course, right? and that’s precisely the problem RoboAuditor – An White Label SEO Audit Tool solves – Generating Leads like low cost. The prospects visiting your website have to enter their website URL and email address. RoboAuditor gives an inside-out view of the state of their sites in form of an SEO Audit report, which as an agency marketer you can white label. Besides, it recommends improvements to garner leads and sales. With RoboAuditor, you get a tool and the reports in your custom branding, i.e. White Label SEO Audit Tool as well as White Label SEO Audit Reports. Drawing an analogy to real estate, your homepage is the Monaco of your entire web state, where each square centimeter must be valued the highest you’d give to your entire webpage portfolio. It doesn’t mean that it has to be cramped with many links or appealing buttons and pop-up marketing your services, but has to be laid out in an optimum fashion. Placing RoboAuditor as the peak of your entire business strategy gives it the best seat in the house, through a section or a standout button. It makes the RoboAuditor tool visible for all your audience to see and can become your biggest sales tool. RoboAuditor gives you elaborate insights into the inner workings of your prospects websites, adding value to them. Now that’s reason enough to create an essential call-to-action on your site header, as its value demands the prime position. Alternatively, if it is one of your business strategies, add it as a header side-section that still captures users landing onto your website. Thanks to your web strategy working right, pages with high traffic must be leveraged to the fullest. Studies show that regardless of the length of the page with long-form content, visitors will scroll to the end in their curiosity to probe for anything value-worthy. It’s the best gateway to place RoboAuditor, perhaps beside your newsletter subscription box. 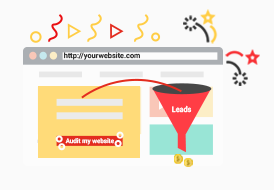 Webmasters are always looking at ways to optimize their site, and this will help you on your way to sealing your first set of 100 leads, thanks to this fantastic SEO audit tool. Content marketing is central to strategies of businesses like you, and blogs are an evergreen space for killing multiple birds with one stone. 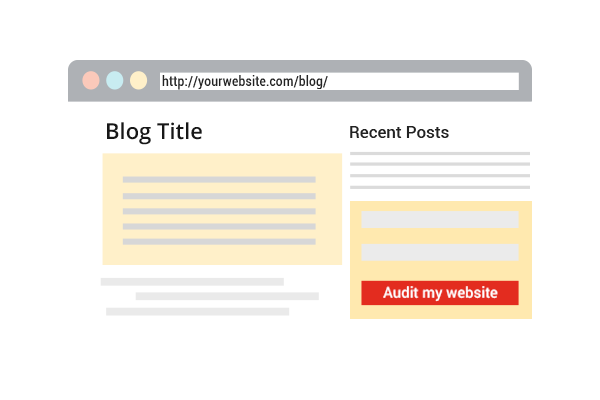 Add in your shiny new web auditor to it, by subtly integrating into the footer, or as an appealing widget that blends into the related sections of your blog layout. For example, if you have a conversion tactic through a banner of offering a white paper in line with category topics, add another CTA of a quick web check of how their website compares to other peers in their domain. Being smart and coherent is the secret behind capitalizing on a RoboAuditor. Integrating your social with your web strategy is fundamental and appeals to human nature: we all want to socialize, share and learn from each other. Offering this invaluable tool on social media along with your regular posts should become a practice that accelerates the leads you generate through the landing page created. It elucidates the advantages of RoboAuditor and helps create mindshare of the gamut of benefits for end users. 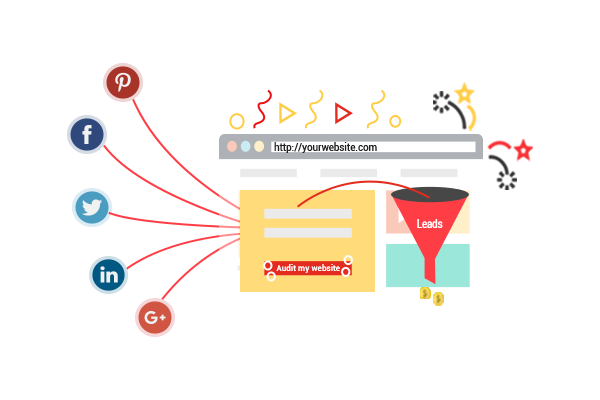 Planning site audit social campaigns is another way to open up further possibilities of quality leads. Emails campaigns are another valuable possibility for brand awareness and engagement, propelling targets towards conversion. Thoughtfully crafted emails that bring out the uniqueness of your solutions usually lack an essential connector: giving prospects an immediate reason to engage and move up the sales funnel. SEO audit tools like RoboAuditor fill that gap, and when prospects click on the email link and arrive at the tool to evaluate their website, they are compelled to inquire how you can plug their site deficiencies. Marketers are always looking at attention-grabbing initiatives or large projects to continue the lead generation pipe, but occasionally forget ‘sales hotspots’ right at the core of their daily business functions. They might not deliver 2x or 3x growth, but when leveraged across the spectrum of a business, they can. One way to begin is by adding a thumbnail promoting the ‘free SEO audit’ tool to evaluate prospects website. In your email campaigns or the companies your sales teams target, you are very likely to see interest, all of which can be channeled into your sales strategy until the point of revenue realization. 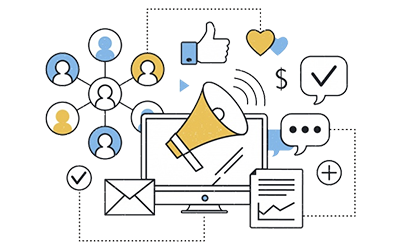 Social media allows you to filter and target your audience unlike other advertising or marketing mediums like search or email. If you are able to identify the website performance of your target audience, create custom campaigns that position RoboAuditor as the solution for their web and marketing challenges, you can save a considerable portion of your current marketing budget. LinkedIn and Twitter are great platforms to generate traction around your web auditor campaigns and continue delivering quality leads. Marketers like Neil Patel or digital marketing organizations like Hubspot have researched, tested and identified a lot of ways to generate leads and close conversions. But one of their top weapons is the SEO auditor tool. That is the adequate inspiration for you to get started on scaling up your marketing efforts, using the site auditor tool as a powerful weapon in your sales strategy. The internet has left no aspect of life untouched, the time has come where we can’t live a single day without the internet. While everything is turning digital and internet becoming an integral part of life, the dark clouds of security breach have started getting darker, bringing a headache to every internet user and digital marketer. Beginning GDPR into the frame. Before we move to discuss how this new General Data Privacy Regulation (GDPR) has impacted the world of Digital Marketing, let’s first understand what GDPR is. On May 25th, 2018, GDPR came into effect in 28 countries in Europe but there exists no country that has been left unaffected by this new rule. The new regulation agreed by the European Union seeks to improve the transparency and the effectiveness of data protection activities. The new regulation affects how businesses acquire the consent of users and customers to submit their personal data that is stored within the CRM or other storage units of the company. Whereas, from the users’ point of view, the status of lawfully processing the users’ data has become fairer and more transparent. The primary motive behind the establishment of GDPR policy and the punishment associated with it is to build the trust between technology providers and the users. Even though, the GDPR legislation around data privacy and protection was adopted in the month of April 2016 but it was officially be enforced two years later i.e. from 25th May 2018, replacing the 1995 data protection directive, hence modernizing the data regulation by monitoring the ways in which businesses collect and use from the people stumbling on their website as well as the customers taking on their services in present era. Even though it’s a common myth that GDPR affects only the European nations but the truth stands high with the fact that any company that has a European customer will have to abide by the GDPR regulations. GDPR focuses on standardizing the EU data directives and provide the best usage of regulations on data handling as well as compliance. With the motive to strengthen individual’s rights and for creating better transparency and control, GDPR was designed to ensure web users are aware of as well as have the rights to control their personal data that is being shared with the companies. So the next question to bug our mind is, what data gets affected with GDPR? The answer is pretty simple, as defined by the EU legislation, any personal data, that can be used to identify an individual, whether directly or indirectly, will come under the GDPR. Hence, whether it’s a simple email ID, an IP address, an online available photo or any information connecting the data to the person everything is bound by the GDPR regulations. With the change in the rule, the next question arises is, what are the main areas GDPR legislation will cover? There are 6 main areas covered by GDPR legislation. 1. Right to access: According to GDPR legislation, any company holding any form of personal data is bound to provide a free copy of the individual’s data, if requested, so that the individual can look what data has been stored and will be processed by the data holder. The user also holds the liberty to ask the company where and why their data is being used. 2. Right to erasure: The user holds the right to be forgotten, i.e. 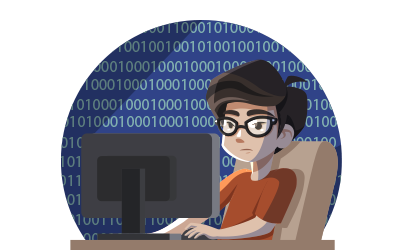 the user can request their personal data to be deleted preventing the company and any related third parties from accessing or processing that users’ information. 4. Data breach notification: If the data has been leaked or any form of the data breach has taken place, such as data hacked or lost, it is compulsory that both, the customer as well the data controller has to be informed with the time span of 72 hours. 5. Privacy by design: It is compulsory for the data holding companies to integrate data compliance and data protection from the starting phase of any new system being designed. 6. Data protection officers: It is compulsory that the company whose main activity includes data processing and monitoring to appoint a data protection officer, in place of notifying the local Data Protection Authorities about their activities. One of the most impactful ways in which GDPR has affected Digital Marketing is that B2C companies will no longer have access to ‘implied consent’ or ‘soft opt-in’ for the data collection. According to GDPR legislation, it is crucial that the consent should be explicit, and the companies should be able to provide proof of explicit consent when demanded to present. As well ‘implied consent’ means that marketers can send the emails to someone as long as the person wants, once the person chooses the option to opt-out of emails, the email should be stopped. Hence impacting email marketing greatly. Hence, if your database contains any form of personal data, like email address, phone number, etc. its best to remain as docile as possible. Marketing automation is the biggest boon for marketers, but with GDPR in the frame, it can turn into a nightmare if not set properly. To avoid any penalties, it is important that you have permission to send emails to all the names listed in your CRM database. It works as miracles for Digital Marketers by placing an empty opt-in checkbox at the end of forms through which the users can choose to receive future marketing from the company. It also helps in improving the quality of the lead scoring as these people have genuinely expressed their interest in the company. GDPR has brought a significant change in the world of marketing and the attempt to grasp the whole concept in a single go can prove to be pretty daunting. This article presents just a simple framework explaining the GDPR, hence if you are facing any difficulties with GDPR legislation, it would be best advised to get in touch with your legal team and avoid any hassle in future. RoboAuditor, the best white label SEO audit tool, also provides you with the option of making your audit form GDPR compliant in just one click. What is the right page speed and why is it so important? Website properties are as essential as a businesses’ physical properties, and in some case, there is no latter element. Think about Uber or Amazon which are web-based services. Compare today’s information or knowledge economy that is based on information on your fingertips, to the 90’s when the web was ironically called WWW(World Wide Wait). This is where the topic of speed comes into the picture. Page speed is a critical factor that can add or shave off millions for certain businesses overnight. Page speed should not be confused with page loading time. Although both are parameters regularly used, and sometimes interchangeably, there is a distinction. 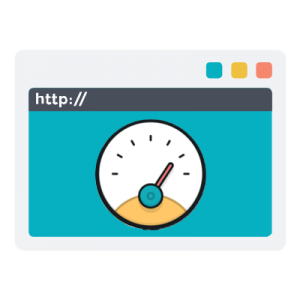 The amount of time taken by web pages or media content to download from hosting servers of websites, and displayed on the target web browser is page speed. This is in contrast to page load time, which entails the entire duration from clicking a link to when the webpage has loaded in its entirety. Among the many web and mobile searches we undertake during a day, Google sets the benchmark in page speed: a scorching 0.5 to 0.9 seconds to load a search results page. However, with the capabilities of the teams at Google to keep the page size down to a sheer minimum, owing to showing only weblinks for search queries, it sits in a league that can rarely be matched. Page speed for SEO is one of the essential reasons pages should be light and agile as well. To talk of numbers, results by Pingdom showed that a desktop page weighing around 3 MB in size took 5 seconds to load. On mobile, it takes a whopping 22 seconds to load. This is contradictory to user’s expectations that mobile pages should be lighter, and hence load faster. Google suggests the web fraternity target average speed of 2 to 3 seconds to ensure seamless user connectivity. But more than just user experience, there must be further reasons for rallying all the forces you can, to optimize the page speed of your website. We quote it as ‘optimise’ because there can be instances where website content is trimmed to the bare minimum, and that goes against providing a complete branding experience. Let’s dive into the reasons to help you towards optimizing your page speed. Does page speed really matter for SEO Ranking? As Google is the most widely used global search engine, conversations in web optimization or SEO inevitably turns to the search giant. Google, in a survey on 900,000 mobile landing ad pages across 126 countries found most of the website(70%) took around 7 seconds to load, albeit the fact that it has focused on site speed as a critical parameter since 2010. Google keeps updating its evolving criteria for ranking websites, and the onus is on web optimizers or marketers to ensure they align and maximize their page speed. Not only would it help it accelerates your search engine rankings, but provide greater brand recall too. Other search engine giants have criteria that are similar to Google’s. However, the general sentiment of user’s changing requirements, increasing dependence on digital-enabled means like shopping online, must be the Holy Grail for web marketers. Using techniques like A/B testing or page speed testing can help evaluate where the website is, and where it needs to get to. How important is page speed to attract visitors? The user of today, typically millennials encompass current user and purchase habits. And this is nothing like what we have seen in the past. They shun brand loyalty, want the user experience to be on their terms or are happy to vent out their concerns on social media. Page speed in SEO in this era must evolve, and the focus on streamlining your website delivery strategy is vital to cater to these requirements. Forrester recently surveyed on online shopping expectations and found 88% of users chose online retailers who consistently succeeded in web performance, while around 50% would close websites that weren’t. Page speed must be a key KPI in your performance arsenal that could also experiment and incorporate new trends like voice or home speaker based searches, which could be the next battleground of SEO. How can you enhance the page speed? There are high chances that your website might be hosted on different servers, or run on a platform like WordPress. Or you might have built it from the ground up, incorporating the most of what you had intended to place, to showcase your entire product or service portfolio. That exercise would have built a lot of flab into your website, as studies show that when your potential audience queries your website, the browser has to download an average of 110 resources to render your page. Or think of all the extra code that might have come along with the web theme selected, or images not optimized for faster downloads, while retaining the quality. The key is to go behind the scenes and identify all the excess segments that can be skipped, so your page size becomes smaller, and page speed in SEO quicker. Now that’s putting your website on a balanced diet. 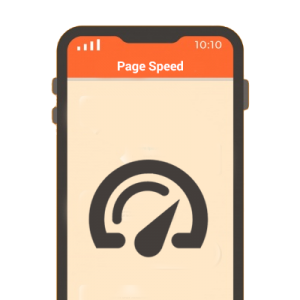 How important is page speed for Mobile Platforms? Statistics around the world prove that mobile is the dominant platform already, taking away significant portions of interactions from the desktop platform. Since the handheld supercomputer, also called the smartphone has become an indispensable part of our lives, it is more convenient and readily available to solve and assist during moments of curiosity or need. 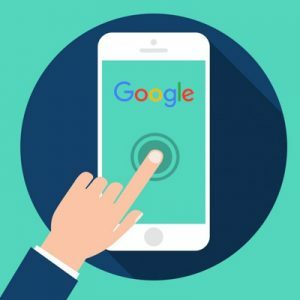 Google has made its intentions clear with experiments to launch a mobile-first index, where the website’s algorithms will evaluate and rank a site based on a website’s mobile version, rather than the desktop version. Improving page speed cannot happen if the mindset is still set on seeing mobile as a supplement to desktop efforts. This is an update that shows how keenly web proprietors must drastically reduce the 22-second average page loading time. Statistics from Similar Web in 2017 showed how 90% of the traffic surveyed go online via mobile, and how 74% would terminate the web tab of sites that do not load in 5 seconds. Getting your page speed in SEO right will help you cater better to the current user demographic. Is your page ready for what’s coming next? Home speaker solutions or home-integrated things (related to the Internet of Things) are making voice searches more mainstream. Keeping a tab on new trends during page speed testing will help you stay relevant and leverage emerging technologies. Ever expanding technological advancements, increasing customization for web versatility and expertise among web and SEO professionals are bringing a level-playing platform for even new web owners to experiment and not be laggards compared to more significant players, in their online growth strategies. Evaluating and signing up with proper web development and marketing vendors is a great way for their expertise to be translated into success for your business, and page speed must be a key performance indicator for business progress. While their expertise grows your online business, you can focus on key business functions that are eventually marketed through the website. How can you check your page speed? 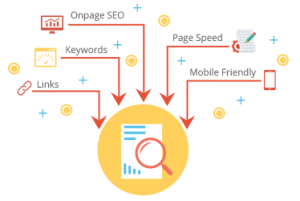 Pagespeed is the most important factor which helps you in attracting and converting more traffic. So it is important that your page loads fast. 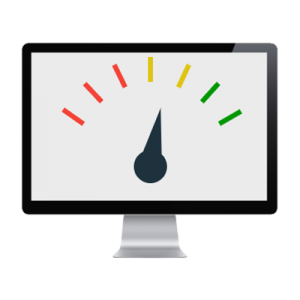 You can easily check the page speed of your website with our RoboAuditor. RoboAuditor is a White Label SEO Audit Tool which generates SEO reports in just 60 secs on 70 parameters. Why Is Google Prioritising Mobile Friendliness In Its Search Ranking Criteria? Webmasters and marketers around the world are realizing the pot of gold lies in their mobile strategy. With Moore’s law playing out every year that sees an increase in computing power for every square inch of a circuit, the smartphone today is much faster than all the computers combined, that took Apollo to the moon. Consumers are increasingly moving to a mobile-first mindset, and Google is pushing this agenda of mobile-friendliness that goes even beyond its pervasive search business via text and clicks. For enterprises and search engineers, mobile friendliness as a ranking factor is going to become critical, with Google announcing a change in its algorithms before fall 2018. The whole mobile ecosystem including apps and supporting technologies like virtual reality are in Google’s sight. Let’s understand why Google is moving away from its focus on the desktop, and pushing the market towards mobile friendliness. Why is Google giving more importance to Mobile Friendliness? 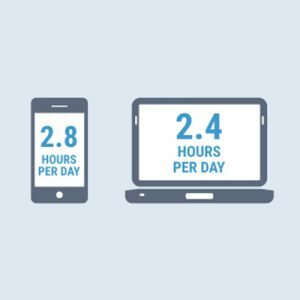 Just last year, for the first ever time in history, StatCounter reported how smartphones and tablets now account for more than 51% of internet consumption, while desktop consumption is waning, at 48.7% at the time of the research. Many desktop metrics that track mobile site visits and engagement would reflect this trend, as customers up to their mobile maturity, and want businesses to meet them at their moments of concern, increasing being called micro-moments by Google. Google is working on updating its algorithms to match this, and one shouldn’t miss out on shoring up the mobile-friendliness quotient of their website. Can we inculcate a Mobile-first culture that is Performance-Based? While customers thinking mobile-first are increasing being matched with developers who match this mobile friendliness with mobile payment or productivity apps that can match a desktop version any day, typical businesses are still stuck in their desktop efforts although the figures show otherwise. This is the time for the well-placed search giant to pivot incumbents towards a mobile-first mindset that translates into real results. Webmasters need to adapt to the mobile experience where users have shorter time-spans, are viewing information on a much smaller screen mandating crisp content, and targeted towards the mobile-friendly Googlebot that promotes and demotes websites more promptly today. Tracking user data and KPIs is far better versus desktop, helping websites understand performance, and fine-tune their strategies better than before. Does Mobile allow better interaction and user engagement when compared to desktops? 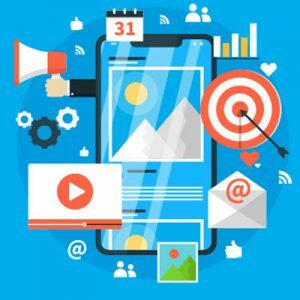 The success ratio of click-through rates in mobile search pages is more than that of desktops, and apart from the technological advancements you might think, it comes down to the user experience offered. One of the reasons Google has been successful with mobile friendliness is due to its inherent ability to leverage the mobile platform and come up with new programs or plans that accelerate its adoption across the world. Benefits include touch sensitivity, gestures, and even possibilities like a carousel for rotating news items or products that make it convenient for the user to identify and complete his search. Google wants to set a benchmark in mobile friendliness, by being a user’s eternal guide for any possible topic. Are we geared up For A Mobile-Centric Operating era? The smartphone in each one of our hands represents the shift in computing power and hardware evolution. The recent Internet Trends Report by Mary Meeker mentions ‘mobile’ multiple times, in fact as the first trend shaping the future of the internet. The report covered its overwhelming impact, showing how this is just the start of a burgeoning era. 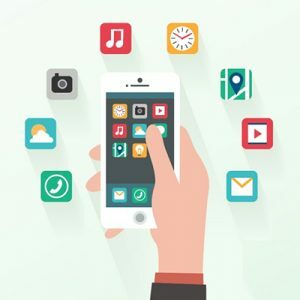 New technologies like ledger keeping on a commonly accounted platform, called blockchain or mesh technologies that allow big data, machine learning and related technologies to work in unison on the mobile platform are all factors that will play out in ramping up the mobile-friendliness factor among the market, and the mobile will be the center on which websites or apps are built and marketed. What’s the Base for Future Mobile-First or Mobile-Only Features? Compare the capabilities of the first iPhone or Android released just over ten years ago to the super-phones we have today, and you would know the kind of hardware and software innovations that have become a part of our everyday lives. In the context of mobile-friendliness and search criteria, the most significant recent release has been the launch of Google’s AMP, or Accelerated Mobile Pages, the weblinks accompanied by lightning symbols. Loading such pages indeed matches the speed of a lightning strike: the pages load instantaneously. By convincing the market to take the mobile-first route, AMP will be one of the many such features that the search engine adopts, or incorporates in its search criteria. Like AMP, they are bound to go only the mobile route, sometimes without a parallel application for desktops. But what are the requirements to move up the mobile-friendliness ladder? 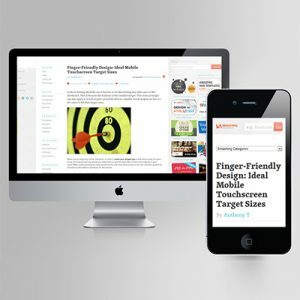 For Google to count your website as mobile friendly, web pages must display ‘correctly’ on any mobile device. Much of this entails how well your audience can load all the content on your website, read it without having to scroll or zoom too much, and easily interact with the available buttons. Now that doesn’t seem like a tough job to get in their good books, does it? While we await and gear up for Google’s mobile-friendly ranking update to roll out, it has already made a start by launching its mobile-first index. Indexing is the process of Google creating a catalog of all the websites that it crawls and includes in search results (quite literally, most of the existing websites today). Mobile friendliness must now become a culture shift in your organization, and not as a piecemeal approach, to be able to stay abreast in this fast-moving market. How to check if your website is mobile friendly or not? Mobile Friendliness of your website not only ensure that the pages are performing well on all the devices but play a crucial role in page ranking as well. There are several tools available online which can help you check if your website is google mobile friendly website or not. One among those tools is RoboAuditor. RoboAuditor can audit any website on 70 parameters and generate an SEO Audit report with actionable insights. And the good news is, you can generate the report for FREE!! RoboAuditor is an Embeddable white label SEO Audit tool which generates 4X more leads with the traffic you already have. Recently, I was at an event, and I heard an executive talk about how his sales force was the oxygen to his company. While you might have a great product or an interesting quarter strategy to push your firm’s market share up, your marketing team is what gives you wind in your sails. And the lead generation is where it all starts. That’s where the story of HubSpot fits in perfectly. The company invented inbound marketing, the science of creating content that appeals and engages target consumers generates quality leads and makes prospects come back for more. More importantly, the tool that stars for the company in a burgeoning market is the Website Grader – A Website Audit Tool. It was created back in the day by the co-founder to help assess various aspects of any website, and ascertain its marketing effectiveness. This simple, automated tool has been one of the reasons behind the company’s explosive growth, not only making it one of the few billion dollars valued companies, but also getting it listed on NASDAQ. For marketing software companies, you cannot miss the obvious. Rather than taking three days to draw out a performance report on a prospect’s website, why not create a simple tool that can do the job? That’s thinking inside the box. Think small, and think about the fundamentals. If you run a marketing automation agency, take a look at your sales strategy. You could resort to a high-budget, visual campaign which brings out your agency’s unique capabilities and that ‘x-factor’ that you hope would floor your prospect. However, that generally involves a huge spend and nominal ROI. Move to inbound marketing. You could again hire an expert content team to work and dish out quality blogs and whitepapers, publishing them with call-to-action. 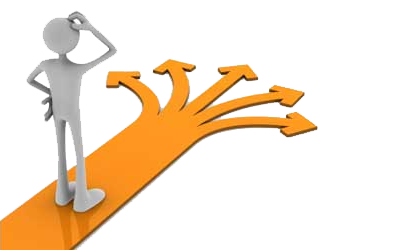 This route has chances of higher leads and ROI because your target audience is now more relevant and engaged. HubSpot took the inbound methodology to even higher. 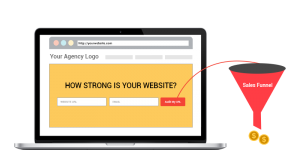 They created Website Grader, a simple and free website audit tool that everyone needed and would vouch for. What started as a bold idea back in 2007 is now the world’s leading site audit tool. HubSpot got it right from Day 1. 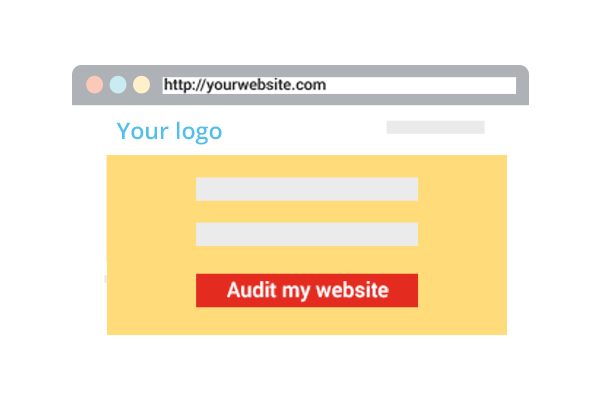 Just enter the website domain and your “Email Address” to get the Website Audit report for free. The Hubspot team not only understood the power of a robust lead generation strategy but demonstrated to the world with the right application. Back in the day when technologies and tools like automated marketing apps were still considered a luxury in the market, the team went the freemium way by opening up the website Grader for anyone to audit their website. That was a game-changer and exemplified growth hacking in its nascent stages. Website Grader was a very simple tool that anyone could use. However, go behind the scenes, and anyone would notice that creating the tool would be far from ordinary. The software had to be fed with a lot of data and signals emanating from the website, for which prior access was available by default. Then, it had to evaluate data against the threshold parameters for an effective site, and finally generate a visual report for the user to decipher and act on unqualified parameters. All of this had to happen in a few seconds, and the tool made it happen, showcasing the power of marketing automation software. Dharmesh goes on to describe in one of his company presentations about how the tool was a great freemium hack, where you don’t make part of your solution free, but provide a tool that diagnoses the problem. The tool was killer and Hubspot generated thousands of leads through the tool. They went public, achieved annual revenues of around $375 million, and secured multiple investments from the likes of Salesforce. 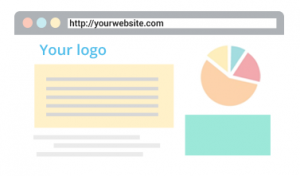 Can you have one website grader for your business? Of course yes, RoboAuditor is similar in nature. 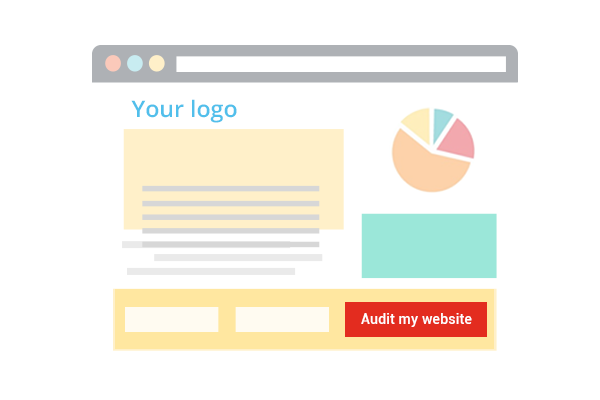 It audits your website in a few seconds on multiple parameters that influence the success of your website, be in terms of web visitors, engagement or conversions. But where we go the extra mile is you can now embed that tool onto your website in a few minutes, so you could analyze your prospect’s websites when they send in a request. And interested prospects can share their contact information for you to build top-of-funnel leads, and pitch them your complete product, increasing reach, engagement, and sign-ups. Sign up with RoboAuditor today and start generating leads like Hubspot. The optimal way for you to get started and match up, just like any other domain, is to perform an audit on the state of your current SEO state. Some of the best SEO tools available, help you get this done before you draw a blueprint of how to execute your strategy for the next quarter. The tools are automated and multi-functional, which scours your website, analyzing and presenting reports on what’s missing, and what’s not. Important parameters like the on-page SEO performance of your web pages, or how quickly your page loads (page speed) are key factors. An increasing shift to mobile browsing mandates website responsiveness on mobile must be determined and actioned to improve SEO performance. Besides, the best SEO tools must evaluate the quality of links and social media performance must be evaluated. It’s more like a B2B term, where an apparel brand contracts a textile supplier, to manufacture clothes attaching the latter’s brand on them. Transition to SEO. What if you could take a look at the best SEO tools and find one that allows you to embed its audit tool onto your website, thereby making it look like it was your tool? 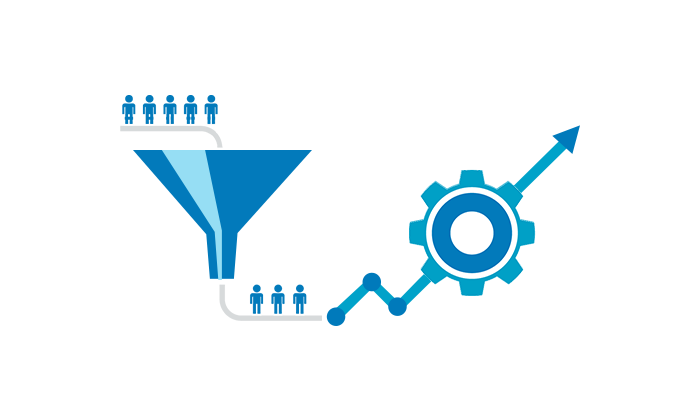 In the proprietary world we live in, RoboAuditor stands out as one of the best SEO tool, thanks to its open nature which allows it to be embedded anywhere. Similarly, we know your business is always looking out for quality leads. Today, companies adopt a variety of strategies to accumulate and convert leads through best SEO tool. Whether it’s hiring an expert SEO agency or the myriad freelancers, the reality is they don’t always provide the silver bullet to your business challenges. What if there was an appropriate, maybe even the best SEO tool around, that was able to directly cut to the chase of identifying clients’ requirements, eliminated costly efforts like case studies and whitepapers, and gave your clients insights into what’s missing in their SEO efforts? And what if you could embed it directly into your website? An authoritative piece on Moz back in 2012 predicted how the next ten years would see a decline in people visiting websites. How accurate in an app-first era we live in today. The best SEO tools that would almost certainly fit your requirements will have to be agile in their structure, and diverse in their integration possibilities. Companies who are finding new markets in new geographies insist their marketing partners like you must be fast-moving and cross-geographically neutral like them, and the start must happen with multiple language support. This feature might be the primary distinguishing factor that will help you filter out the best white label SEO audit tool and the most relevant one for your SEO investment. You can put your Agency’s Sales Process on an Auto Pilot mode if you have the above features in your free SEO Tool. It’s not an easy task to find all the above features in one tool at a very competitive price. RoboAuditor is one of the very few tools which provide all the above features at the most competitive price.